Since the turn of the millennium, rapid advances in technology, globalized markets, and atomized politics instigated in the American and Israeli Jewish communities questions about the morals of food consumption. Contemporary issues such as workers' rights, animal welfare, environmental protection, among others, intersect with basic Jewish food ethics: while Jewish communities respect ancient laws, they also appreciate the importance of progress and look forward to a more repaired world. In these pages, readers will have the unique opportunity to delve into the minds of the brightest Modern Orthodox thinkers of the current generation. 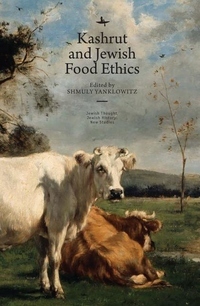 The contributions contained in Kashrut & Jewish Food Ethics by members of the progressive Orthodox Jewish association Torat Chayim are rich in detail and offer new paradigms for the practical observance of kashrut that have swirled in the ether for generations.